When You Become FEARLESS, You Become LIMITLESS! 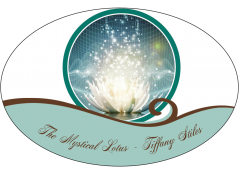 ~Set Yourself Free~ By: Tiffany Stiles ~LIMITLESS~ Once you become FEARLESS, you become LIMITLESS! The only limits that hold you from progressing forward are the ones you have placed upon yourself; from childhood programming of parents, school, and society as a whole. You have been programmed how to behave, what you can and cannot say, … Continue reading When You Become FEARLESS, You Become LIMITLESS!